Last week, Kathy Ireland went on Entertainment Tonight and spoke about her mentor Elizabeth Taylor’s activism on the issue of AIDS. It was packaged as a bombshell: Taylor ran a Dallas Buyers’ Club-style operation out of her Bel-Air home, getting experimental drugs to AIDS patients. Or did she? It’s hard to prove conclusively Taylor didn’t, but there’s not much evidence she did, either. Armstrong also spoke to Taylor’s longtime publicist, who said, “I have no knowledge at all about this.” Though she does remember “participating with her in a Lower East Side needle exchange program at a women’s shelter,” which is pretty badass. 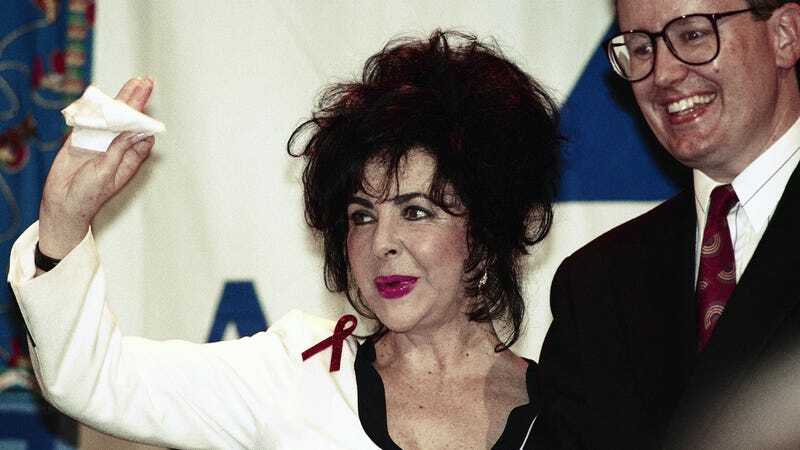 And in fact when Armstrong called Ireland’s publicist, he was informed that she “never said or even acknowledged that Elizabeth Taylor ran a ‘West Coast buyers club.’ This was [a] reporter’s common-knowledge reference for the audience to another humanitarian story of compassionate assistance of AIDS sufferers.” The publicist said Taylor was just running a “safe house,” which isn’t quite so eye-popping. A business consultant in Sausalito, Calif., Mr. Delaney founded Project Inform in 1985, an organization that spreads the word about possible new treatments and exerts pressure on Federal bureaucrats and drug companies. In 1989 Project Inform started what Mr. Delaney calls ‘medically supervised guerrilla trials’—community-based tests to study the safety and efficacy of drugs that were being smuggled into this country by underground supply networks like Mr. Corti’s and that were already being used by AIDS patients. Whereas Taylor was a star, and she put her stardom to work on behalf of people who were suffering. The Guardian points to her comments in a 1992 interview with Vanity Fair: “I decided that with my name I could open certain doors, that I was a commodity in myself – and I’m not talking as an actress,” she said.